Former Ironman Dean Mercer has just died after suffering a terrible cardiac arrest and then crashing with his car on Gold Coast, today in the morning. He crashed his car into the fence at Mermaid Waters at about 7 in the morning and despite the paramedics tried to save him through CPR, it was too late for the triathlete to be saved. According to an official statement Mercer’s family gave, the cause of his death was considered to be a sudden cardiac arrest. “It is with great sadness and grief that we advise that our beloved Dean — loving husband of Reen and devoted father to their four boys Brayden, 13, Rory, 11, Lachlan, 9, and Joshua, 6, passed away earlier today,” the statement said. Among many victories and successful performances, Mercer won two national championships and five New South Wales championships. He also won the World Oceanman series. 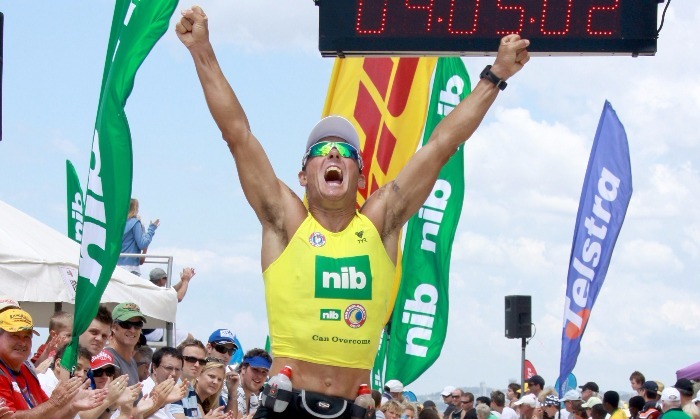 He started to compete in Ironman events in 1987 when he was only 15 years old, and his last competition took place in 2010 in Coolangatta Gold when he was 40.